These two Tunics were made for two friends. I can definitely see me sewing a few more of these for the summer. So cool and also chic. As mentioned in the previous blog I am escaping the winter blues at my sewing machine. 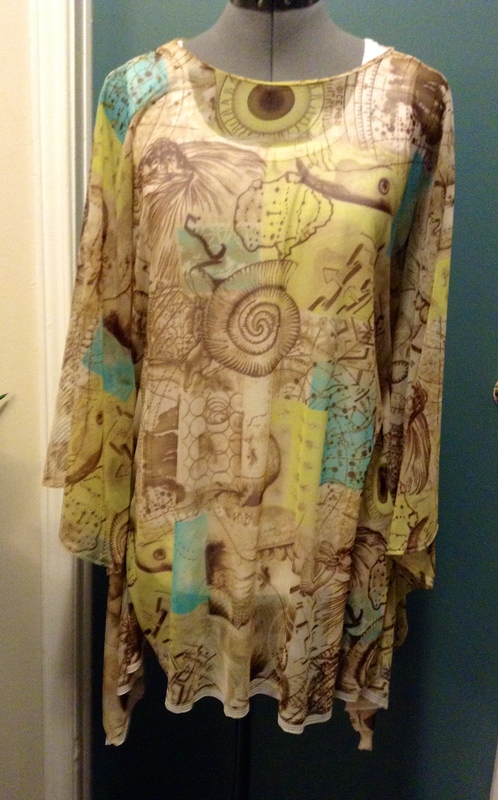 Love the fabric, it was easy to sew and draped beautiful. It is a sheer mesh type stretch material. ( You guys know me and getting these fabric names right) I will enquire more on my next fabric store visit. Styled with a Necklace and a belt as another option. Taking it to the machine…. The fabric was so good. Very easy to sew up. 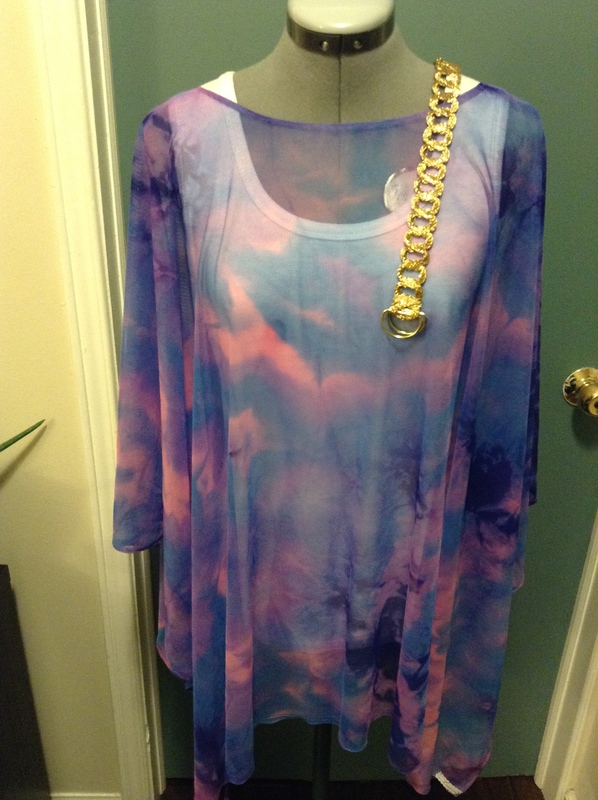 So beautiful….. love how it drapes. Escaping winter continues. New month, new projects! Stay tuned for more sewing adventures…. Previous postEscaping Winter at the Sewing Machine: The Cotton Maxi Dress! 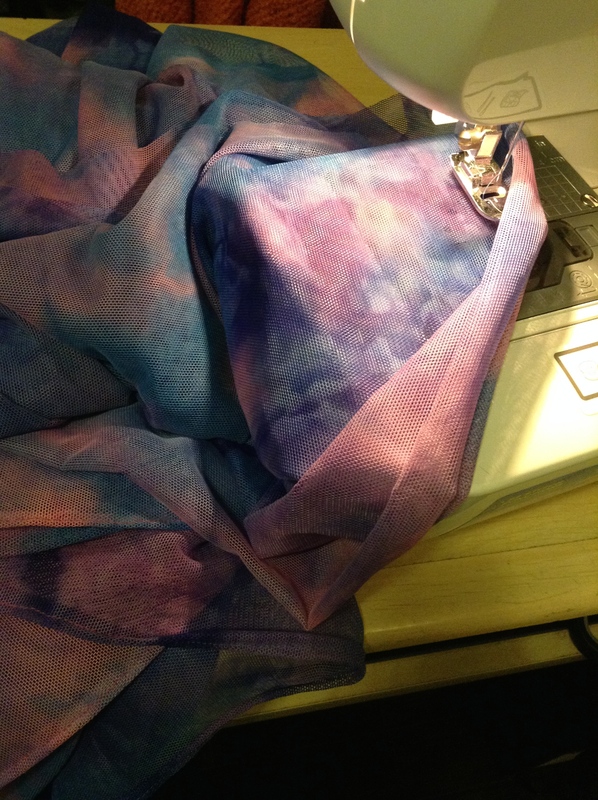 Next postStill Sewing….Happy Good Friday! 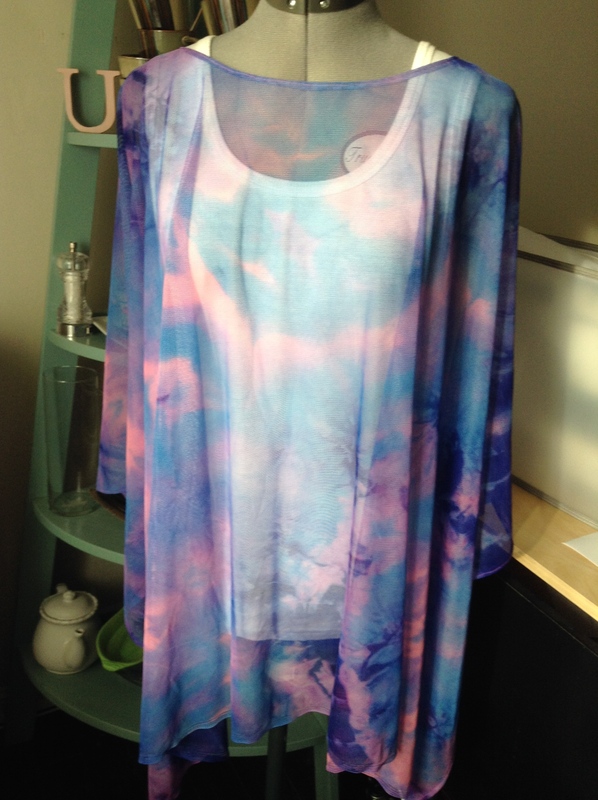 Beautiful fabric, whether on its own as a cover up or worn elsewhere with another top underneath. I always ask and write down the name and content of the fabric I buy now – sometimes I love it so much I want more and I can’t remember what it was! It helps me learn too! So far, the salespeople have been very nice helping me. 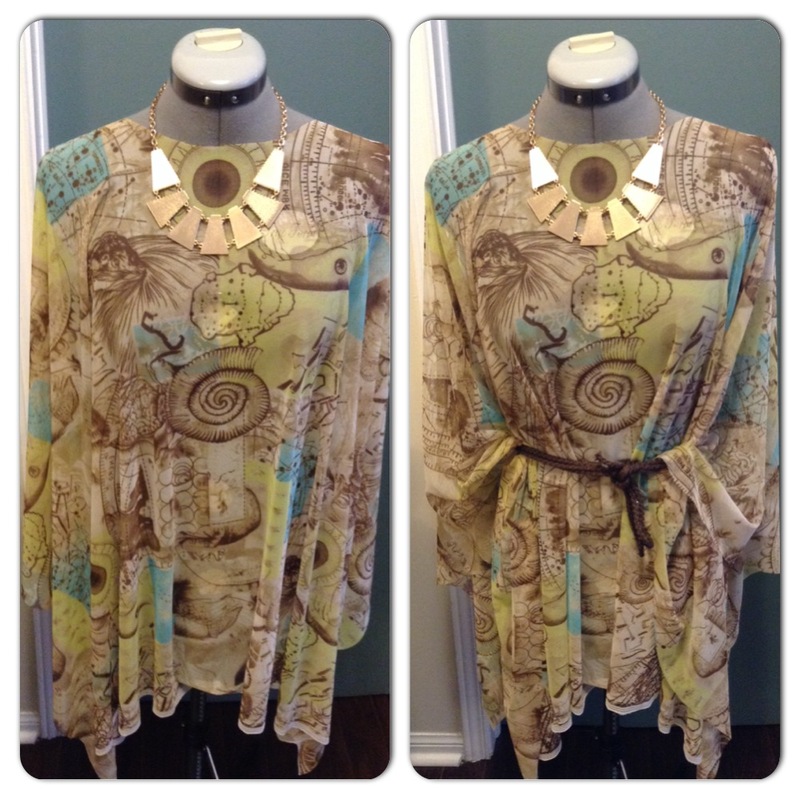 I love these cover ups they are so beautiful and I love how you add the belt and jewelry to dress it up, so clever. I have only sewn once with airy fabric and it was a night mare to sew! You did a great job. The sun just came out! I can’t wait for summer to arrive. Nice work, how did you finish the neck line? It looks really crisp and clean!